Sign up for Canada Membership, Click Here. Whenever not qualified for regular membership (Retail Equipment Dealers), associate membership shall be limited to persons and/or firms who have a common interest in the affairs and business of the Association or provide services to members and whose membership will be of benefit to the Association. (Application for Associate Membership shall be subject to the approval by the Association.) It is understood that upon acceptance of this application to the Association and upon the payment of dues as established by the Board of Directors of the Association, this membership will become effective and will remain in effect until termination is requested by the member or is ordered by the Board. It is agreed to honor the objectives as stated by the Bylaws of the Association. Application for Associate Membership shall be subject to the approval by the Association. Please be patient as your Membership Application is being processed. Regular Membership is limited to person and/or firms regularly engaged in the Retail equipment business. 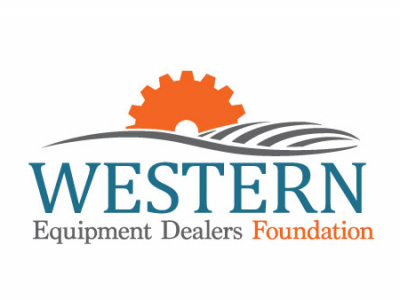 I (we) being a legitimate retailer of agricultural, industrial, outdoor power equipment and or hardware, hereby apply for membership in the Western Equipment Dealers Association. It is understood that upon acceptance of this application by the Association and upon the payment of dues as established by the Board of Directors of the Association, this membership will become effective and will remain in effect until termination is requested by the member or is ordered by the Board. It is agreed to honor the objectives as stated by the Bylaws of the Association. Do you carry outdoor power equipment?